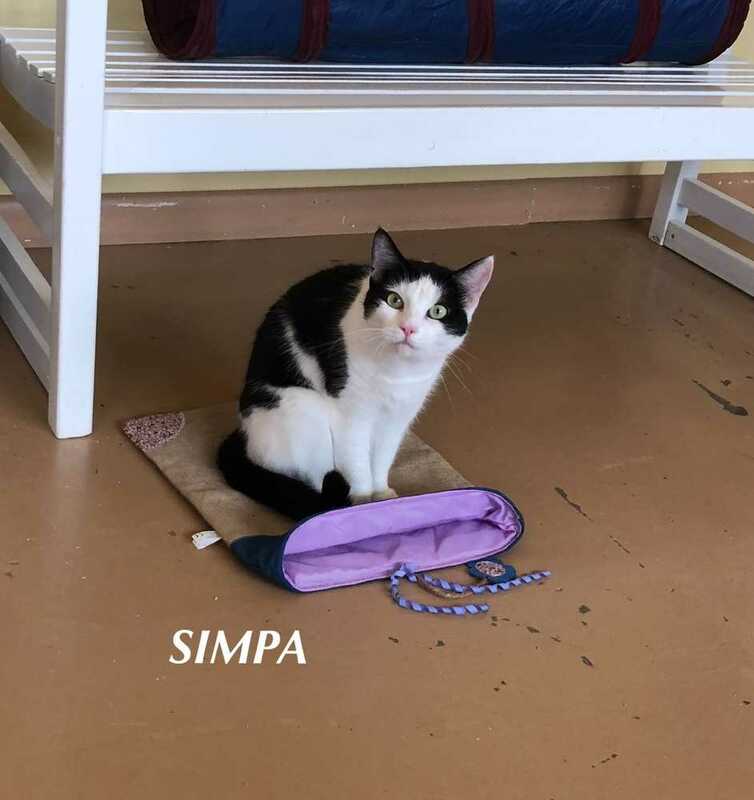 Simpa has black and white markings and has a feisty personality. She will probably pick her owner. She definitely has some funny facial expressions. Came as a stray to the shelter. Might be better as an only kitty as she likes to be a little bossy at times, however having said that she does reside in our free roaming room. I think she likes to choose her friends. Likes to strut her stuff.